The final, more serious, installment of our Bulgarian map week examines the commemoration of the Batak Massacre, a seminal event in Bulgarian national(ist) history and one of the incidents that helped cement accusation of Ottoman bloodthirstyness in European minds. The image above is from a historical map showing Cete, or nationalist militia activity during the April 1876 uprising. Clashes, such as the one in Batak (bottom left) that prompted the Ottoman massacre, are shown with crossed swords. 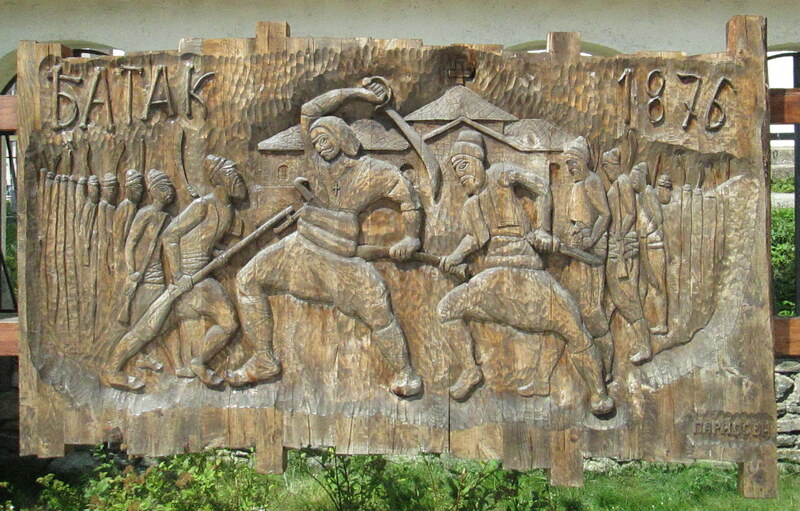 In April of 1876, the town of Batak was the site of one of a number of armed uprisings by Bulgarian nationalist militias against the Ottoman government. Ottoman forces, including irregulars and members of the region's Muslim population, put down the insurrection, then proceeded to kill a - needless to say highly disputed - number of the town's inhabitants. 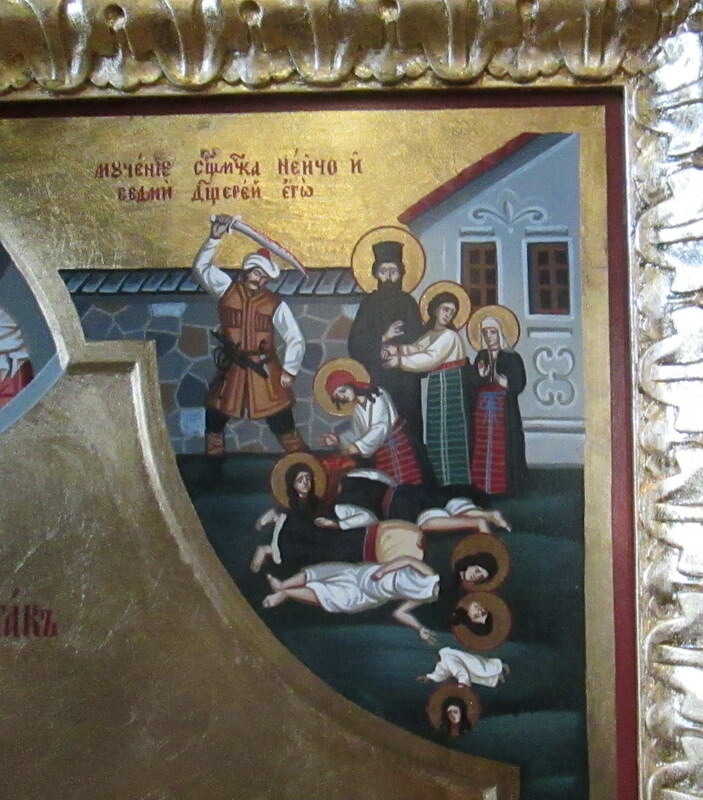 The climax of the massacre occurred in and around the church of Sveta Nedelya where a number of people had sought refuge. reports at the time, most famously from American journalist Januarius MacGahan, described the death of 5,000 people and the impalement of the town's mayor. Press reports, as well as the work of a subsequent international commission, prompted widespread outrage accross Europe. William Gladstone response came in the form of The Bulgarian Horrors, a pamphlet that condemned the Disreali government on moral grounds for its policy of supporting the Ottoman Empire. 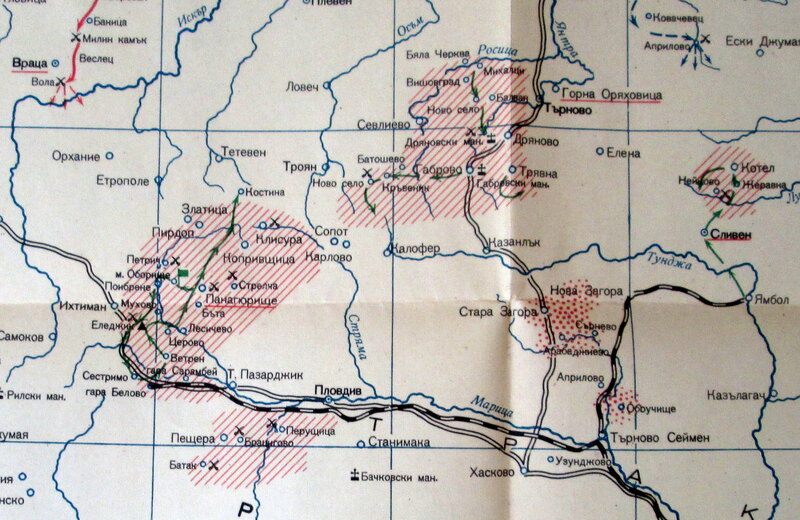 While the April uprisings themselves were unsusccesful, the subsequent 1877-1878 Russo-Turkish War (reffered to by Bulgarians as the Russo-Turkish War for National liberation) led to the creation of an independant Bulgaria. Partially on account of anti-Turkish sentiment, Britain refrained from intervening on the Ottomans' behalf (though they did use their influence to limit the size of the new state in the Treaty of Berlin). Batak entered the new state's repetoire of nationalist symbols, where it remains to this day. Most recently, a controversy erupted in 2007 when two historians attempted to hold a conference on the "Batak Myth," in which they sought to reconsider the size of the massacre itself and examine how it had been enshrined as a national myth. Though these two historiographical projects - questioning the truth of nationalist myths and studying their creation - often go hand in hand, they are ultimately separate endeavors. Exaggeration and distortion are certainly part of mythmaking, but whether in Batak or San Antonio, even nationalist myths built from largely accurate accounts can and should be critically examined, particularly in regard to the nature of their construction and subsequent use. Visiting the town of Batak itself also offers a striking reminder that, beneath the politics and propaganda and arguments over numbers, sites of tragic violence can preserve a truly haunting quality in spite, rather than because of, our attempts to commemorate them. On the hill above the town of Batak, visible from some distance, stands a Communist-era memorial to the massacre, combining massive socialist realist statuary with crucifixion iconography. 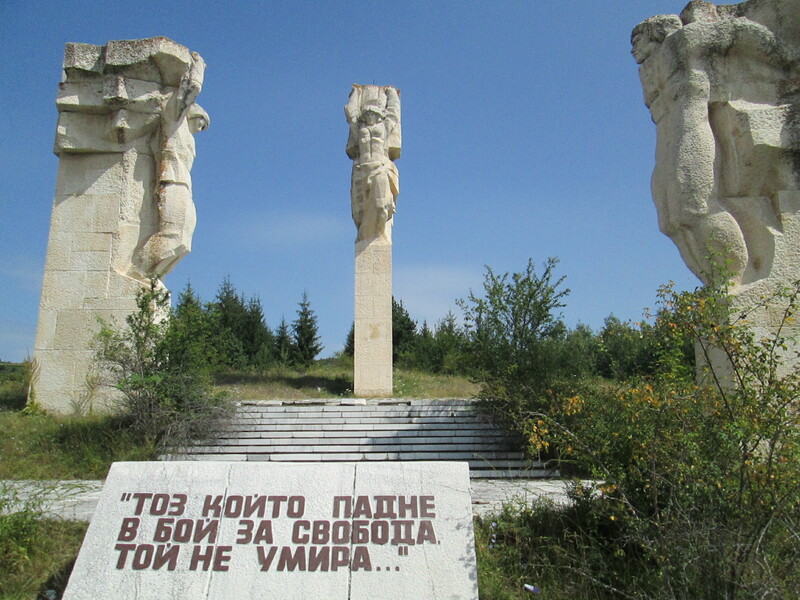 The local history museum, built in the 1950s, is jointly dedicated to the memory of the victims of the Batak massacre, Bulgaria's failed 1923 socialist revolution and the 1944 anti-fascist resistance movement. 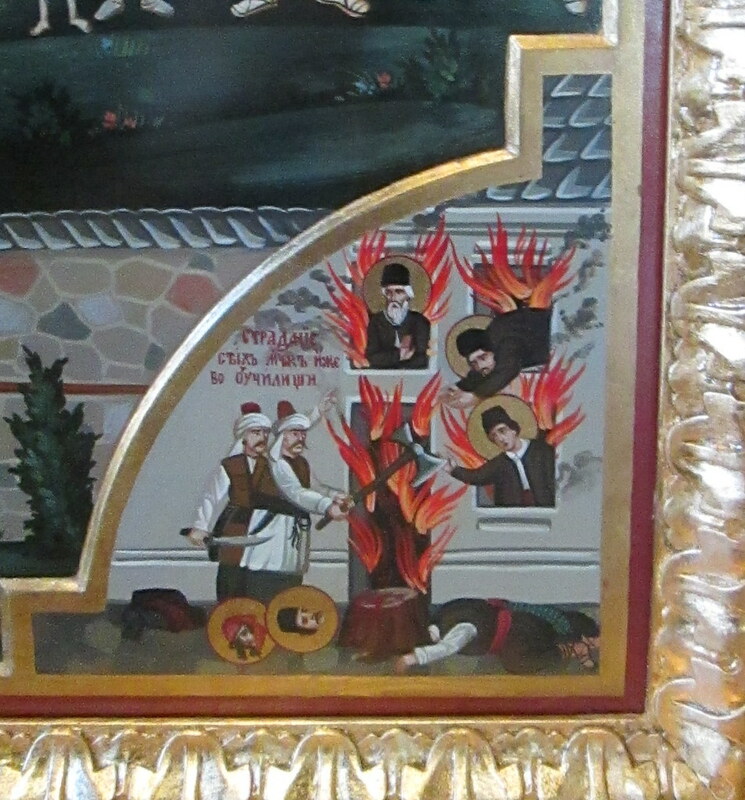 The church of Sveta Nedelya, where much of the violence took place, houses an icon, painted by a Bulgarian nun in California, depicting events from the massacre as if scenes from a saint's martyrdom. In fact, the victims of the massacres were officially cannonized as saints in 2011. 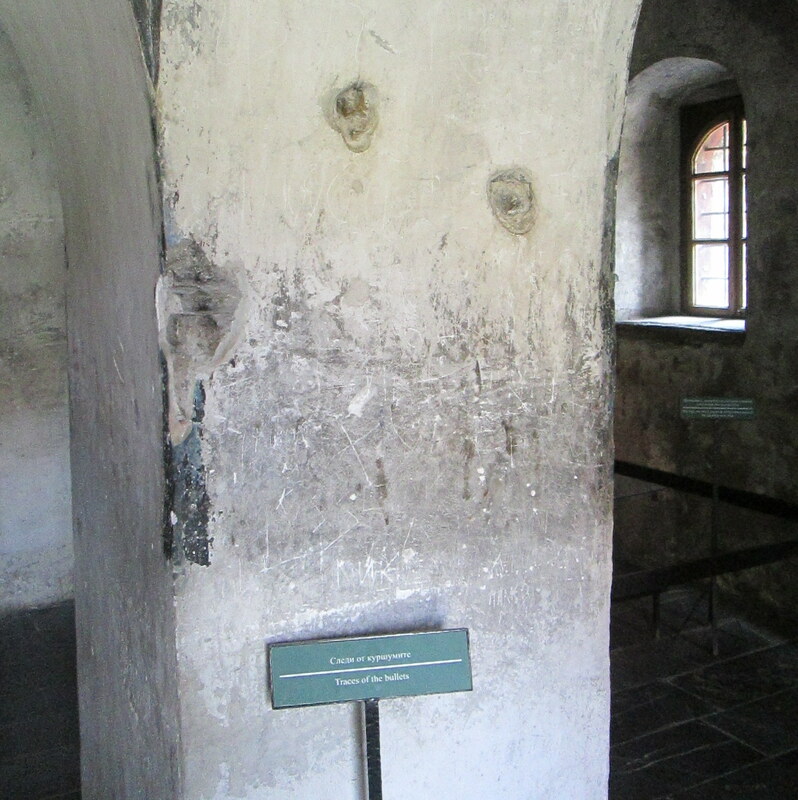 Within the church, bullet-holes in the wall, remnants of charred wood, and skulls of the victims are presented as historical and religious relics. 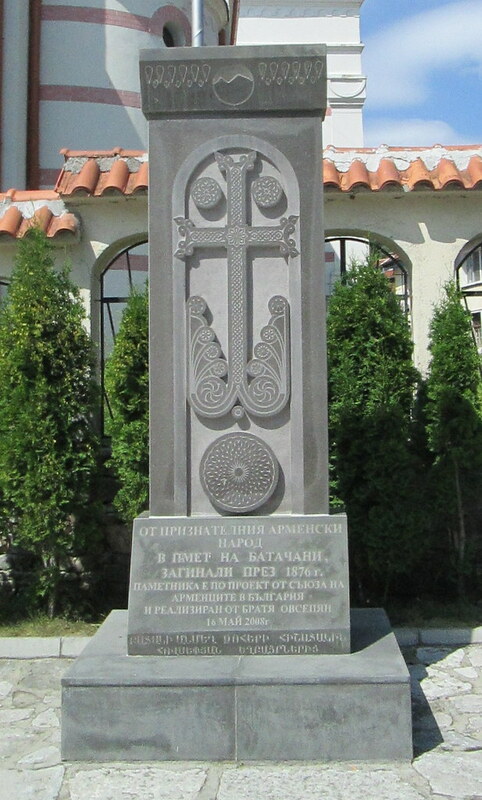 Outside the church, a carved sign offers a more traditional nationalist folk art rendering of the scene, focusing on military heroism rather than victimhood. 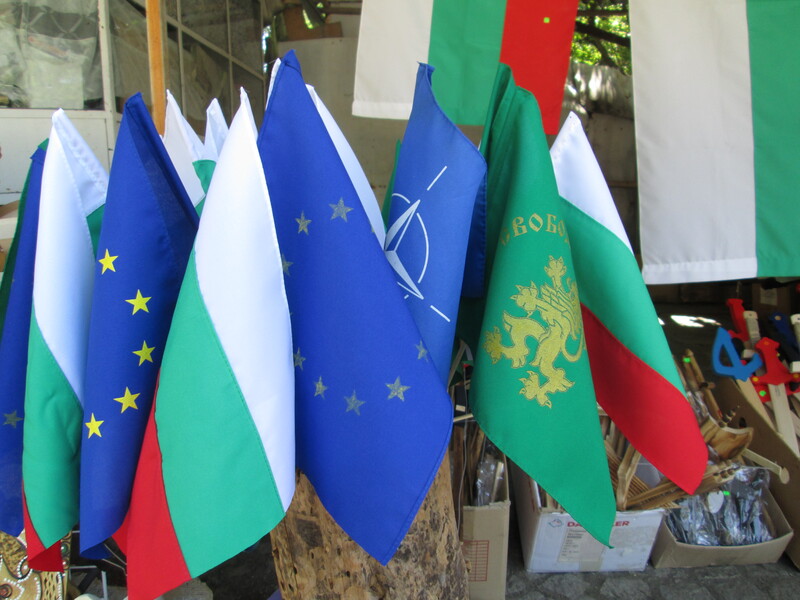 Finally, at a souvenir stand some distance away, the "liberty or death" flag of the 1876 rebellion, featuring a lion on a green background, sits alongside Bulgarian, EU and NATO flags. Symbols of traditional anti-Turkish nationalism, contemporary European trans-nationalism and a military alliance with Turkey, all for sale at prices so reasonable you could easily buy them all.